You are able to set page margin when you convert text to pdf document easily and quickly if you use the free program VeryPDF Text to PDF Converter as your helper. You will get the best conversion experience when you use this application. At first, please download this application to your computer and then install it by following the installation wizard. If necessary, you can create a desktop icon for the application so that you can open it by double click the icon. 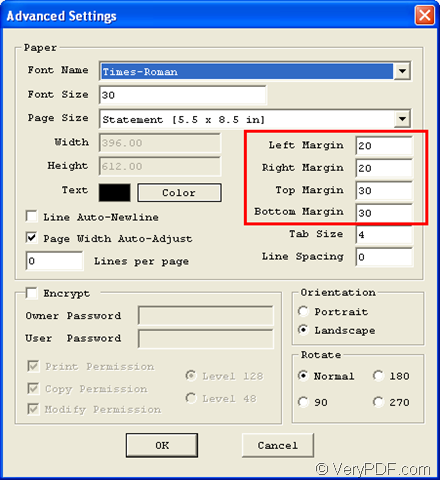 To this smart application whose interface is shown in Figure 1, you need to set parameters to it and then add text document into it and make the conversion from text to pdf. Please click Menu and click Advanced Settings option in popup floating item to open Advanced Settings window like the one shown in Figure 2. 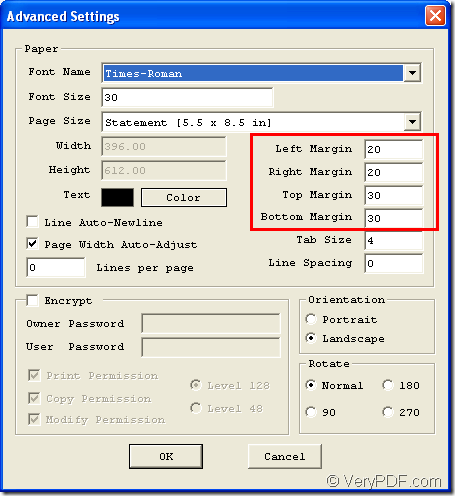 In Left Margin, Right Margin, Top Margin and Bottom Margin edit boxes, you can set pdf page margin by inputting values in them. Then please click OK button to close current window and return to the program software. Drag pdf document and drop it into the application, then you will see an automatically popup window like the one shown in Figure 3. Please choose the output location in Save in dropdown list, input the file name in File name edit box. 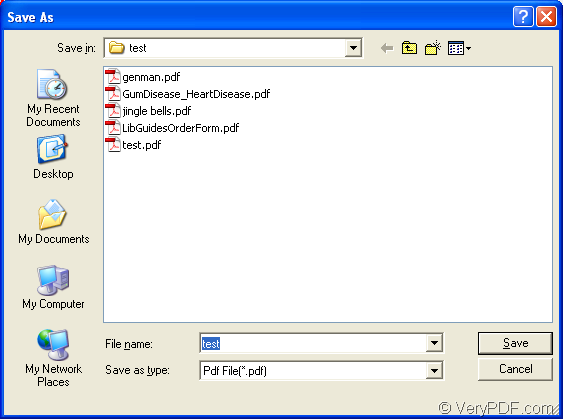 Then please click Save button to convert text to pdf. 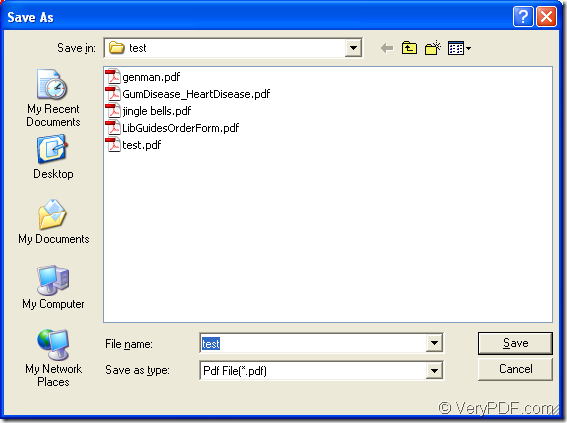 Then the conversion from text to pdf will be finished successfully with the free program Text to PDF Converter. When you have any other questions about this application or the conversion, please leave your messages here or send email to support@verypdf.com. TXT to PDF multiple files via command line? This entry was posted in Text to PDF Converter and tagged free program, page margin, text to PDF. Bookmark the permalink.